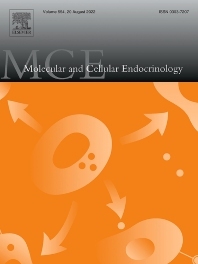 Molecular and Cellular Endocrinology was established in 1974 to meet the demand for integrated publication on all aspects related to the genetic and biochemical effects, synthesis and secretions of extracellular signals (hormones, neurotransmitters, etc.) and to the understanding of cellular regulatory mechanisms involved in hormonal control. The journal is fulfilling this aim by publishing full-length original research papers, rapid papers, reviews, invited Special Issues, and book reviews. The scope encompasses all subjects related to genetic, epigenetic, biochemical, and molecular aspects of endocrine research and cell regulation. These include: (1) mechanisms of action of extracellular signals (hormones, neurotransmitters, etc. ), (2) interaction of these factors with receptors, (3) generation, action and role of intracellular signals such as cyclic nucleotides and calcium, (4) hormone-regulated gene expression, (5) impact of gene structure on endocrine functions, (6) structure and physicochemical properties of hormones, hormone receptors and other hormone-binding components, (7) synthesis, secretion, metabolism and inactivation of hormones, neurotransmitters, etc. (8) hormonal control of differentiation, (9) related control mechanisms in non-mammalian systems, (10) methodological and theoretical aspects related to hormonal control processes, (11) clinical and translational studies as far as they throw new light on basic research in this field, (12) control of intermediary metabolism at the cellular level, (13) ultrastructural aspects related to hormone secretion and action, (14) comparative aspects of endocrinology only if they elucidate novel hormonal mechanisms.